Best Recipe Apps and Cooking Apps for Android brings you a comprehensive list of Android Apps, some works as a mobile cookbook and some as cooking assistant. Although ‘cooking assist’ appears to be too much superfluous for describing this article on best Recipe Apps and Cooking Apps, but you will find some really helpful apps. Almost everyone loves to eat, even if do not loves to eat, needs to eat. The recipe apps and cooking assisting apps mentioned in this best Recipe Apps and Cooking Apps for Android will help the beginners as well as ‘advanced’ candidates in cooking (lack of better term). Do not ask us, whether we have cooked all the recipes! Honestly, it is not possible to check all the recipe related apps mentioned in this list of best Recipe Apps and Cooking Apps for Android. As always, we have checked the apps by installing them – that is the technical part. You can type or copy any name of the apps listed in this list of Best Recipe Apps and Cooking Apps for Android and search it in Android Market Place using the Search function. Recipe Search : Quick and simple way to find recipes with ingredients that you have or want. Browse by categories and discover over 70k recipes. Allrecipes.com Dinner Spinner : Allrecipes.com Dinner Spinner is a fun and useful recipe app from the world?s #1 food site, delivering thousands of our members? favorite quick and easy recipes to your Android device. 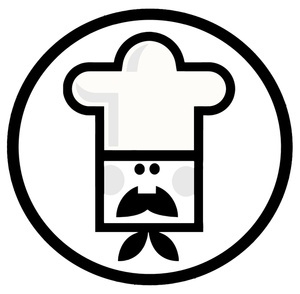 PocketSpoon recipe database : PocketSpoon takes your favorite cooking recipes wherever you go – and cook. Quick Meal : Quick Meal app is a growing database of quick and easy recipes that can be made in few minutes. Sweet’N’Spicy – Indian Recipes : Sweet’N’Spicy has an total of 4000+ recipes spread across three major categories Vegetarian, Non-Vegetarian to Vegan. 30 Minute Indian Recipes : 30 minute Indian Recipes. Quick and simple recipes to produce delicious Indian food in 30 minutes or less! Starters, main meals, desserts, drinks, snacks and more. INDIAN RECIPES : The App will show you the Ingredients and the method to cook your selected recipe. Grill-It! : Detailed instructions and professional photos for all of our favorite grilling recipes for Beef, Lamb, Seafood, Poultry and more. Chinese Recipes : Free mouth watering Chinese recipes, easy to follow & cook, Chinese cooking is simply rewarding! Mexican Recipes : There?s something for everyone with Mexican Recipes. Microwave Oven Cooking Time Co : A simple utility for converting cooking time in microwave ovens. Very useful if you have recipe written for oven with different wattage then yours. Kitchen Timer : Just type key in the timer delay in minutes and hit “Add” button and the timer will begin. Chef’s Kitchen Timer : Attractive, easy and quick to use – designed to aid you while cooking. This is the end of our Best Recipe Apps and Cooking Apps for Android. Hope you will cook well! This Article Has Been Shared 8594 Times! Cite this article as: Abhishek Ghosh, "Best Recipe Apps and Cooking Apps for Android," in The Customize Windows, December 31, 2011, April 21, 2019, https://thecustomizewindows.com/2011/12/best-recipe-apps-and-cooking-apps-for-android/.